I've said it before and I'll say it again: I love Summer something fierce! The pool days, the warm nights, the backyard BBQs... it's all just perfection to me. Our neighborhood gets really fun in the Summertime with kiddos running around and backyard hangouts every evening. Since so many of my neighbors have little ones, I decided to get a little crafty one Saturday and make a DIY Little Critters Tic Tac Toe board! 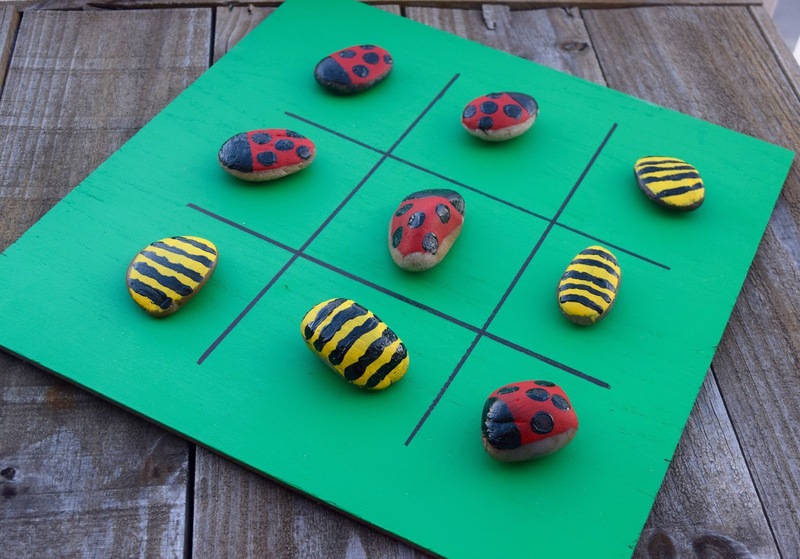 Tic Tac Toe is one of those simple games even the smallest youngsters can grasp, and the "little critter" play pieces make it a backyard favorite! Instead of "X's" and "O's", I opted for ladybugs and bumble bees. It's whimsical and way cooler to a tyke than boring old letters. If you're interested in making something similar, here's how to do it! 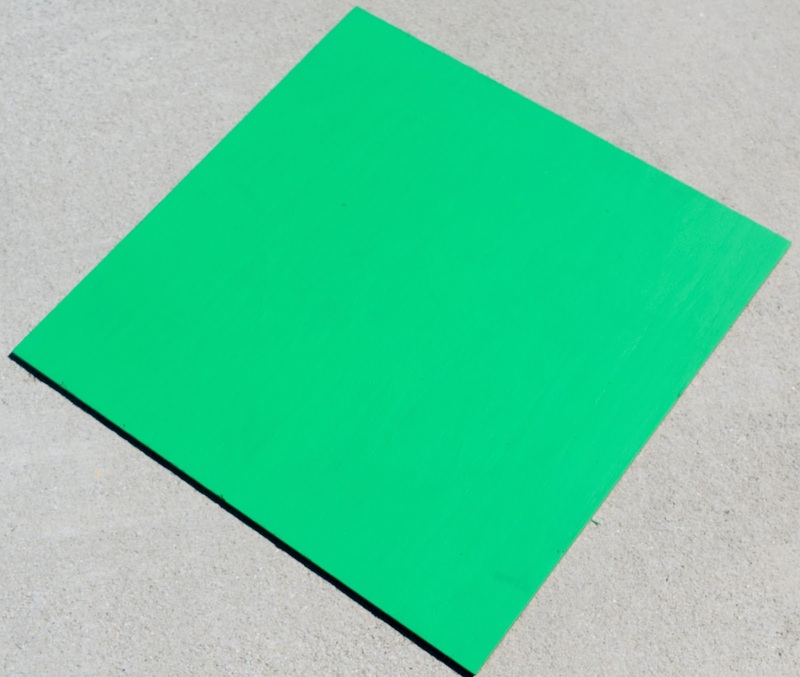 First, paint your board. Since I was operating off of the "little critters" theme, I chose to go with a kelly green to resemble grass. 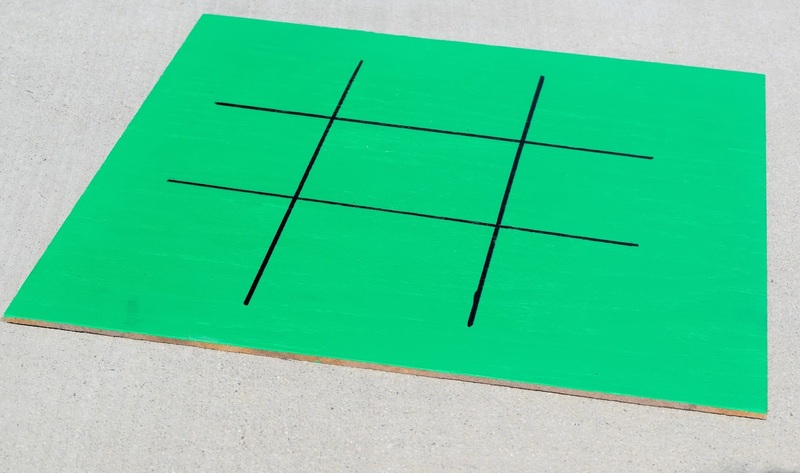 Next, take your ruler and permanent marker and draw the tic-tac-toe grid. Now for the fun part: paint your critters! 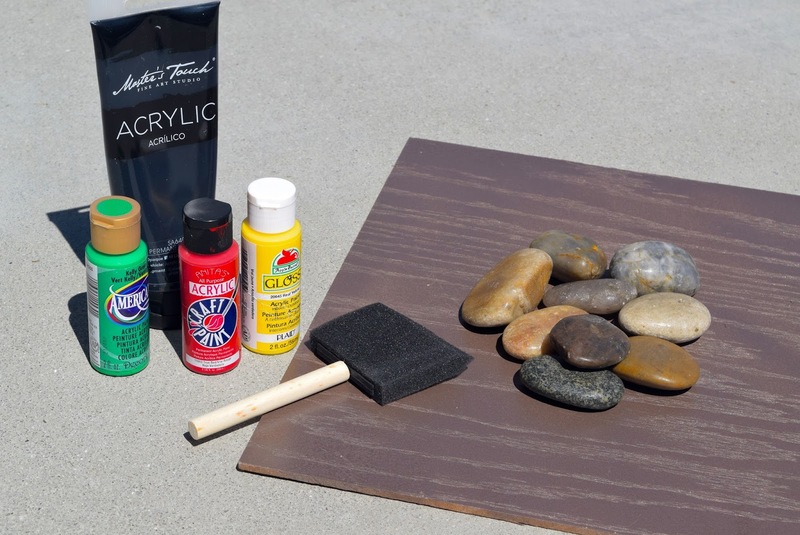 Take 9 stones (one for each square), and paint half with one design and half with another. 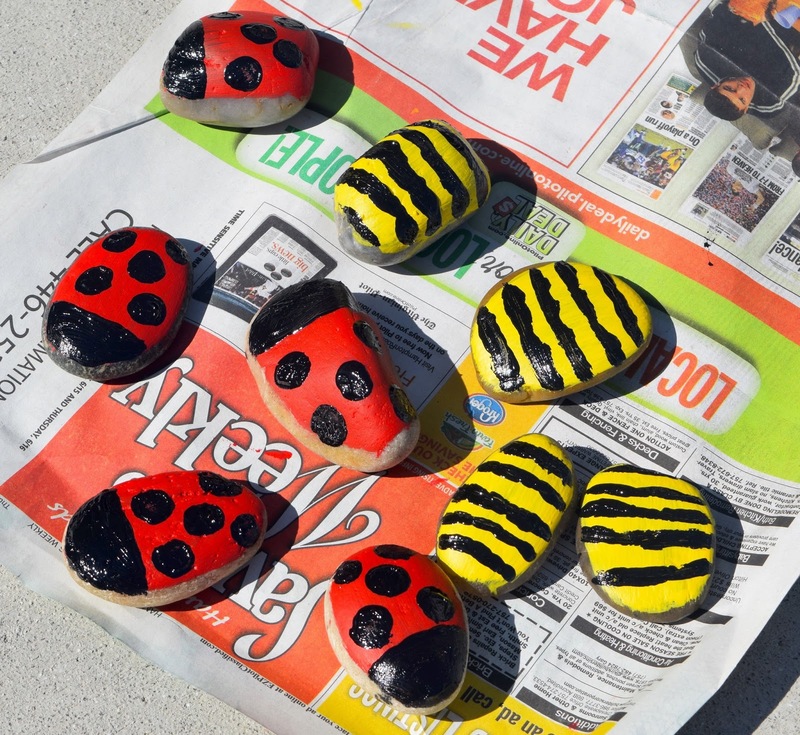 I chose to go with ladybugs and bumble bees. I didn't want to make them look "perfect". Let's face it, I couldn't even if I wanted to! I like that they look like a child made them. I think it adds a little more whimsy and fun! 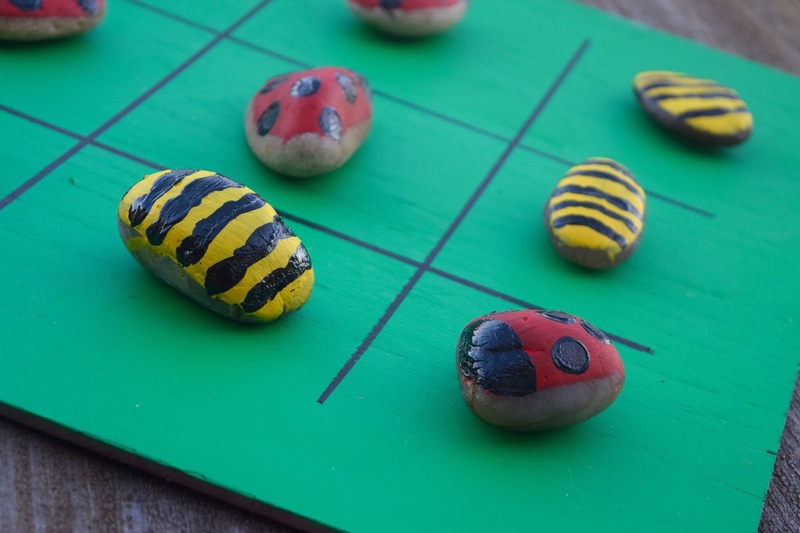 If you have little ones, this is a great activity to let them help with too. I really love how it came out, and the neighborhood kids do too! To further try to secure my position as "the tiny humans' favorite neighbor", I also brought along a go-to for backyard BBQs... ice cream! 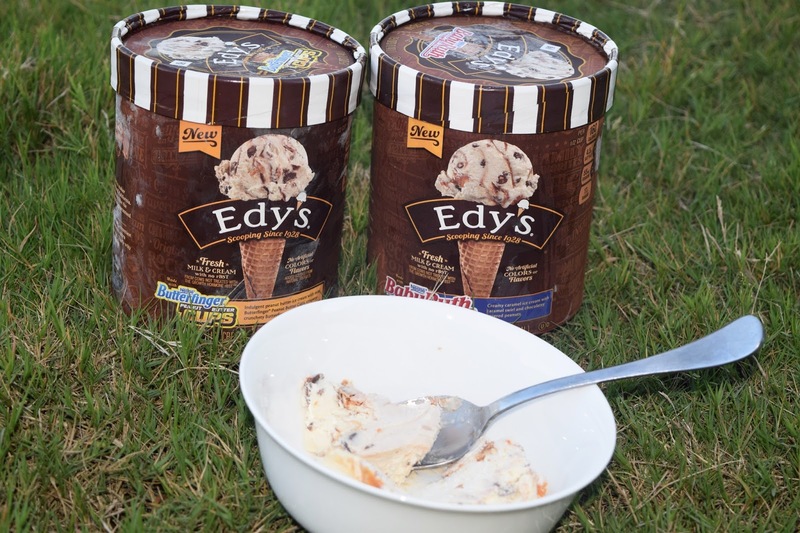 I found two new flavors of EDY's® Ice Cream based on my favorite candy bars and snatched them right up! I grabbed Nestle Butterfinger® Peanut Butter Cups and Baby Ruth® and man did those kids dig in! 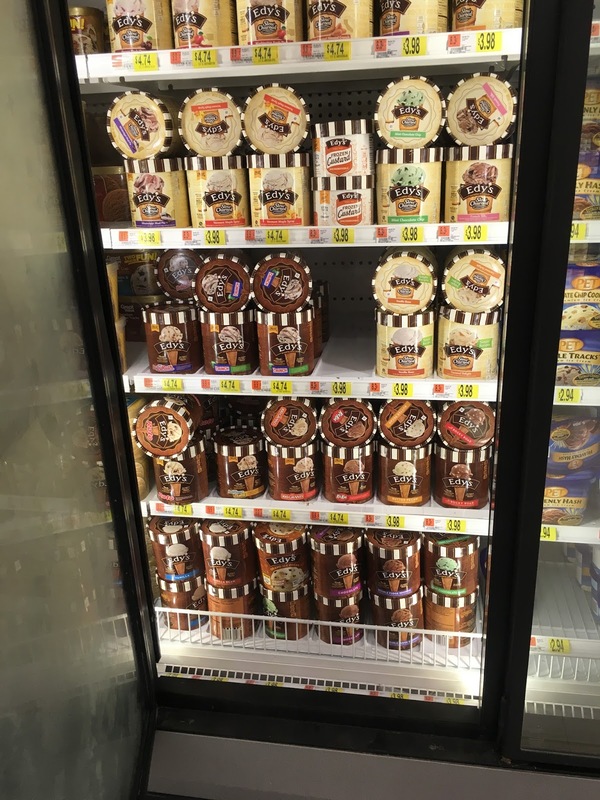 Parents enjoyed too and reveled in the fact that these ice creams are made with no artificial colors or flavors. Ice cream and Little Critters Tic-Tac-Toe... a winning combination indeed. 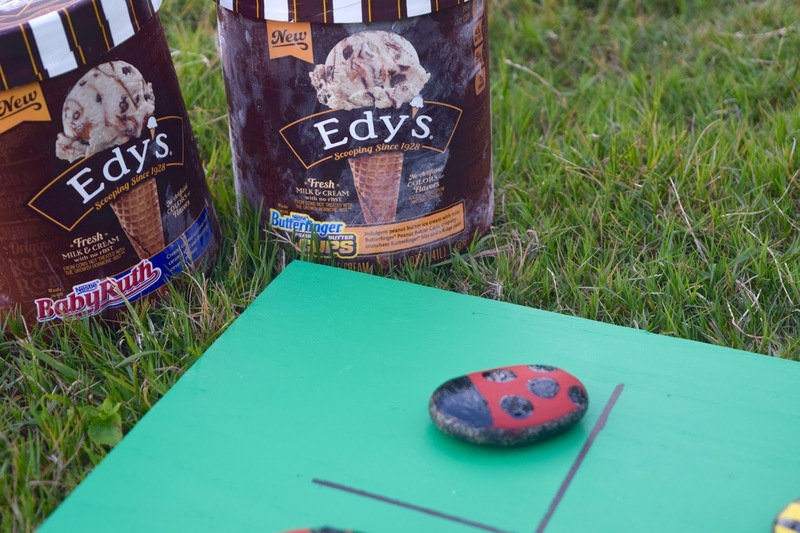 To create this combo for your next backyard hangout, head to Walmart and look for EDY's Ice Cream in the frozen section. There will also be demos during the month of June at select Walmarts. Click here to see if your store is on the list! This is seriously the cutest! Great idea for a homemade gift for my nieces and nephews!